A Dog's Best Friends: Who's Backing a Historic Study of Canine Health and Cancer? As someone who grew up with a golden retriever, I’ll join the chorus of dog lovers who declare the breed as, well, the gold standard when it comes to canine companionship. Endlessly friendly, loyal, smart—there’s a reason people are such fans. That beloved status, chill demeanor, and their large numbers around the country make them the perfect subject for a nationwide, long-term study of canine health. Sadly, there’s one other factor that qualifies them, which is that the breed has a high incidence of cancer. 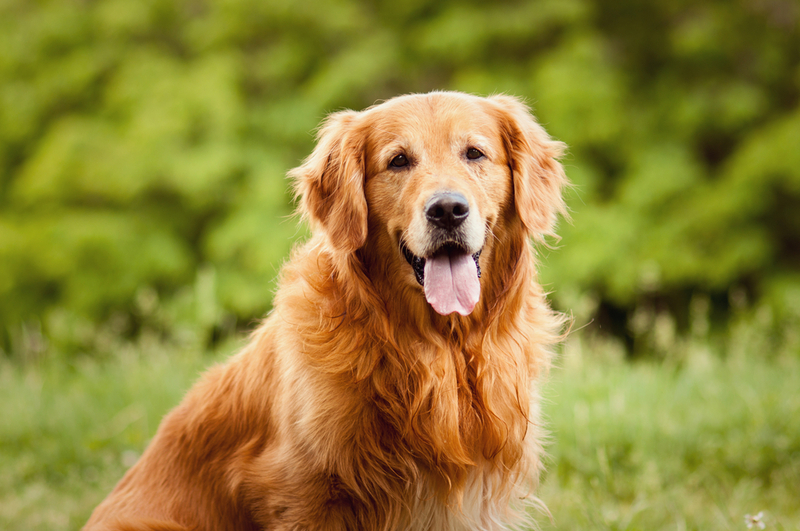 Up to 60 percent of golden retrievers are estimated to be impacted by the disease. So back in 2012, the Morris Animal Foundation and a team of researchers set out on the most extensive study of its kind—a plan to closely track the health of around 3,000 dogs in real time, across their lifetimes. It would span 48 contiguous states, require an army of long-term partners, and over time, could provide rare insights into cancer and other major diseases in dogs, and even other species. It would also cost millions. The project had a $25 million original budget, to be exact, but that number’s now up to $32 million for the estimated 14-year study. A study of this scope has never been undertaken before, according to staff at Morris, in part because of that high cost. Five years into the project, institutional and individual donors are making it possible. Morris Animal Foundation tells us that to date, the Golden Retriever Lifetime Study has raised more than $17.5 million, and fundraising continues in order to meet that projected budget, and if possible, expand its scope. Almost $14 million of that has come from 123 organizations, foundations and companies, including veterinary hospitals, clinics and breed clubs. Morris Animal Foundation was founded in 1948 by Dr. Mark Morris, Sr., a veterinarian and pioneer in creating specially formulated food for dogs and cats with health problems, and generally to maintain the health of companion animals. His son, Dr. Mark Morris, Jr., went on to grow the family’s pet food brands, including Science Diet. He passed away in 2007, but wife Bette Morris, son David Morris, and daughter Cynthia Morris, all serve on the Morris Animal Foundation’s board of trustees. The Mark and Bette Morris Family Foundation was a large donor to the study. Other major contributors include the Blue Buffalo Foundation, Petco Foundation, Golden Retriever Foundation, Hadley and Marion Stuart Foundation, Zoetis, and Mars Veterinary. The number of individual, smaller donors has been perhaps even more impressive, approaching 5,000 individuals donating almost $2.5 million, with an average donation of $502. “Some of our most passionate fundraising efforts come from the study participants themselves, who organize ‘Golden Jubilees’ and other special events to raise awareness, funds and camaraderie amongst participants and supporters,” said Carol Borchert, director of communications for Morris. That kind of philanthropy and personal dedication (it’s got an unheard of 98 percent participant retention rate) is necessary to pull off such a heavy lift. There’s a reason this kind of study had never happened before when Bette Morris and canine researcher Dr. Rod Page first came up with the idea. They recognized that one thing holding back veterinary medicine was the lack of a long-term, prospective study, meaning one that monitored health, biological and environmental factors of animals over a long stretch. By tracking their lives and collecting biological samples along the way, the study aims to gain insights into patterns and risk factors surrounding health conditions like cancer and heart disease. The model was the famous, 70-year Framingham Heart Study, which has yielded more than 3,600 scientific articles to date. Doing something similar for dogs requires thousands of pets, owners and vets—not to mention donors. Animal philanthropy, in general, is one corner of the sector that’s fueled largely by passionate individual animal lovers. As a result, the community that’s sprung up around the Golden Retriever Lifetime Study is really moving. Morris profiles participating dogs online, sends out regular newsletters on progress, even memorializes participants (heroes) who have died during the study. Call it returning the favor to a loyal companion.